Virtual reality and augmented reality will change a lot of things in our society; but we have to be aware of the technical limitations of the current/upcoming generation of devices. Now, it seems Microsoft is also toning down the idea of what it HoloLens can do, with a more realistic depiction of its field of view. Microsoft's HoloLens is an amazing piece of technology, but we had already expressed our concern about what it insinuated it could do. Microsoft used amazing videos that gave the impression HoloLens could create a vast panoramic digital world overlaid in the real one; but the truth is quite different. HoloLens can only display images over a small section of your field of view, making the experience more akin to looking through a small window. 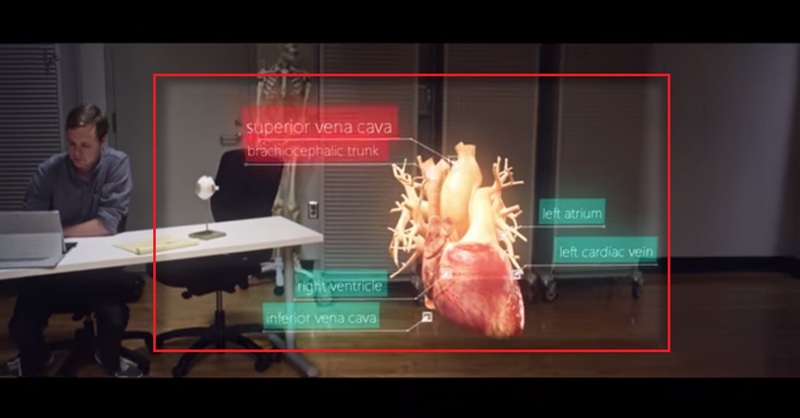 That's what the latest HoloLens video now shows with a smaller field of view that clips items as you look around. We'd all prefer to have something like what was first shown; but Microsoft has already stated that the "final" version of HoloLens won't have a larger field of view - and so, I think it's best to give a more accurate representation of what it can do, that risk letting down users that have been led on to believe it could do what was shown in the first videos. Maybe HoloLens can't deliver what we'd like to in this first generation version - but we all know it will be just a matter of time until a future version will.